n 1992, three of Portland's more experienced court reporters merged their talents to become Iba, Symonds & Dunn. 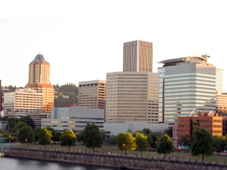 Together, they bring a total of over 80 years of reporting some of Portland's most demanding legal proceedings. Individually, they bring focus, intensity and expertise in the most innovative disciplines of their field. ince our beginning, Iba, Symonds & Dunn has become recognized for speed, accuracy, dependability and professionalism. uring the years we have served the Portland legal community, we have acquired a depth and breadth of experience in cases as varied as construction and design to personal injury; from employment and labor disputes to domestic relations and general business litigation; from intellectual property and products liabilities to workers' compensation; from real estate to securities and utilities. Iba, Symonds & Dunn: Fast, Accurate, Reliable and Cost Effective. Copyright © ISDreporters.com. All rights reserved.